Parkinson’s disease is a chronic degenerative condition arising from impaired nerve function. Although there is no known cure, a range of medicines are used to manage the symptoms. Parkinson’s disease is one of 27 conditions on the Chronic Disease List (CDL) and, under South African law, is eligible for Prescribed Minimum Benefits (PMBs). This means that by law, South African medical aid schemes are obliged to cover specific costs associated with its treatment. Most medical aid schemes cover the costs of generic medicines for Parkinson’s disease, although the medicines may have to be sourced from pharmacies that belong to the schemes’ networks or from designated service providers (DSPs). Plans that offer more comprehensive chronic benefits may cover branded medicines dispensed by any healthcare provider. Currently the levodopa and decarboxylase inhibitor named Teva-Levodopa Carbidopa is considered the most effective drug for the symptomatic treatment of Parkinson’s disease. This widely used drug is a branded medication, so if you plan to use it, it’s important to choose a medical aid plan that will cover it. 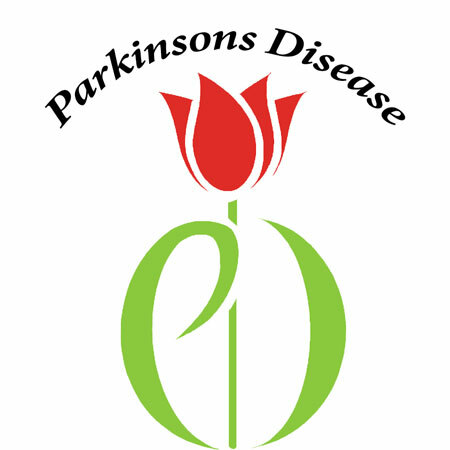 Below we consider the cover that two of South Africa’s medical aid schemes offer for members with Parkinson’s disease. Genesis Medical Scheme manages chronic benefits for its members through its management programme, which is specific and subject to registration. Members diagnosed with Parkinson’s disease are required to register for chronic and to obtain pre-authorisation before they qualify for chronic cover. Pmb drugs listed in a formulary list are paid for in full at state only. If the member uses any other provider, co-payments might apply. Two Genesis Medical Scheme plans – the Private Plus and Private Comprehensive plans – provide some cover for out-of-hospital medicines (over and above the cover provided for chronic medication). The Private Plus plan covers out-of-hospital medicines from savings, provided there are sufficient funds in the member’s savings account. Private Comprehensive plan members have cover for out-of-hospital medicines up to a limit of R2,520 per adult per annum from the medicine benefit. Discovery Health offers cover for chronic medicines across all its medical aid plans. Discovery Health’s Executive plan provides the most extensive chronic medicine benefit. A wide range of medications exclusive to the plan’s formulary are covered in full. To qualify for chronic cover, members living with Parkinson’s disease need to obtain pre-authorisation and register for chronic. The Doctor would give members access to information about the disease, and support and guidance from suitably qualified healthcare professionals. Consultations and diagnostic tests can be covered from chronic if, subject to PMBs. Discovery Health specifies a sliding scale Chronic Drug Amount (CDA) to cover the monthly cost of out-of-formulary medicines, including dispensing fees. Despite differences in member contributions, the CDA relating to medications prescribed for Parkinson’s disease is similar across the Priority, Core, Saver, and Executive and Comprehensive series of plans. There is one exception; the CDA for an out-of-formularylevodopa and decarboxylase inhibitor increases from R570 per month on the Priority, Core and Saver plans to R650 per month on the Executive and Comprehensive plans. Contact us for information about other South African medical aids and the cover they provide for Parkinson’s disease, and we’ll help you identify the medical aid plan that best suits your budget and healthcare needs.